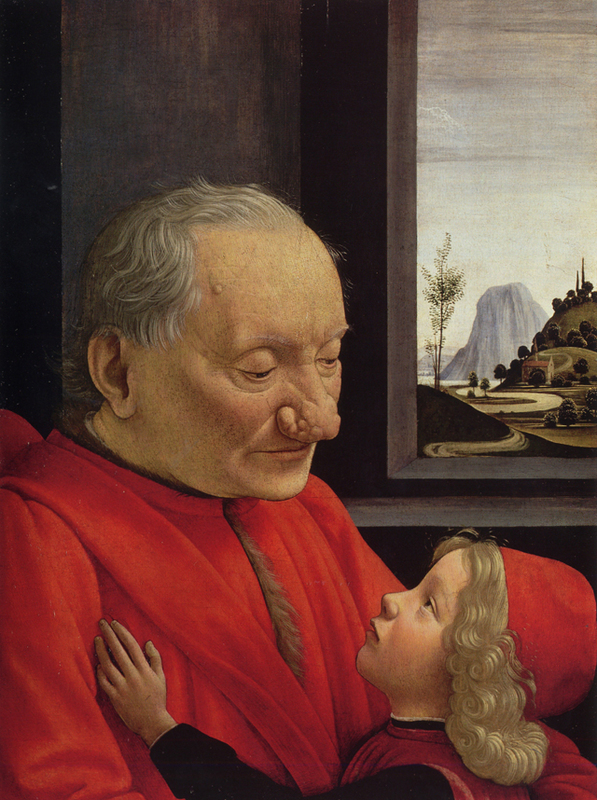 i came across these two portraits while thumbing through several books on renaissance paintings. i was struck at first by the unusual countenance of both subjects. but while the grotesque nature of the paintings initially drew me in, i was further intrigued by the level of detail and artistry involved in each work. renaissance portraiture of course being a high mark in history for the technique and skill devoted to depicting above all else, beauty, i was a bit confused. as it turns out leonardo da vinci was very interested in "grotesque heads" and had a collection of drawings devoted to such subjects. the painters of these portraits were working in that tradition. and i find it fascinating that there are quite a many of these types of paintings from the period which challenge notions of grace and beauty. the woman in the second painting titled "an old woman," may have been one duchess of carinthia who was said to have regarded herself a figure of fun and thus dressed purposefully in what even in the sixteenth century would have been considered outlandish. incidentally she was john tenniel's original inspiration for the duchess in his alice in wonderland illustrations.